Not to be confused with Jacobinism. For other uses, see Jacobite. Jacobitism (/ˈdʒækəbaɪˌtɪzəm/ JAK-ə-bye-tiz-əm; Scottish Gaelic: Seumasachas [ˈʃeːməs̪əxəs̪], Irish: Seacaibíteachas, Séamusachas) was the name of the political movement in Great Britain and Ireland that aimed to restore the House of Stuart to the thrones of England, Scotland, and Ireland. The movement was named after Jacobus, the Latin form of James. After James II and VII went into exile after the 1688 Glorious Revolution, the English Parliament argued he had 'abandoned' the throne of England and offered it to his Protestant daughter Mary II and son-in-law and nephew William III as joint monarchs. In Scotland, the Convention did the same but claimed he had 'forfeited' the throne of Scotland by his actions, listed in the Articles of Grievances. This was a fundamental change capturing a key ideological difference between Jacobites and their opponents; if Parliament could decide James had forfeited his throne, monarchs derived their legitimacy from Parliament, not God, ending the principle of divine right of kings. However, Jacobitism was a complex mix of ideas; in Ireland, it was associated with tolerance for Catholicism and the reversal of the land settlements of the 17th century. After 1707, many Scottish Jacobites wanted to undo the Acts of Union that created Great Britain but opposed the idea of divine right. Outside Ireland, Jacobitism was strongest in the Scottish Highlands and Aberdeenshire, traditional Catholic areas in Northern England, primarily Northumberland, County Durham and Lancashire), plus parts of Wales and South-West England. The emblem of the Jacobites is the White Cockade. White Rose Day is celebrated on 10 June, the anniversary of the birth of the Old Pretender in 1688. In addition to the 1689–1691 Williamite War in Ireland, there were a number of Jacobite revolts in Scotland and England between 1689 and 1746, plus many unsuccessful plots. The collapse of the 1745 Rising ended Jacobitism as a serious political movement. The first Stuart to be monarch of both Scotland and England was James VI and I, who claimed his authority was divinely inspired, a concept known as divine right. He considered his decisions were not subject to 'interference' by either Parliament or the Church, a political view that would remain remarkably consistent among his Stuart successors. When James became King of England in 1603, a unified Church of Scotland and England governed by bishops was the first step in his vision of a centralised, Unionist state. While both churches were nominally Episcopalian, in reality they were very different in governance and doctrine; Scottish bishops presided over Presbyterian structures and were doctrinal Calvinists who viewed many Church of England practices as little better than Catholicism. Attempts by James's son Charles I to impose common practices ultimately led to the 1639-1651 Wars of the Three Kingdoms, the execution of Charles in 1649 and the incorporation of Scotland into the English Commonwealth. After the Restoration of Charles II in 1660, political and religious conflict continued; in Scotland, this was largely expressed through conflict over governance and control of the kirk and in England, the role of Parliament. James II and VII; despite inheriting the throne with substantial support in 1685, by 1688 James had alienated the vast majority. In Ireland, the key issues were land rights and tolerance for the Catholic majority; after the Flight of the Earls in 1607, their lands were confiscated and settled by Scottish and English Protestants, resulting in the Plantation of Ulster. Retrieving these was a primary aim of the 1641 Irish Rebellion but after the Cromwellian conquest of Ireland, land held by Irish Catholics had fallen from 60% in 1641 to 9%. Only a small minority of large Catholic landowners benefitted from the 1662 Act of Settlement passed after the Restoration. In addition to struggles over religion, the Stuarts strongly resisted the growing strength of Parliament; from 1629-1640, Charles I ruled without one. Louis XIV of France was the greatest exponent of Royal Absolutism in contemporary Europe, which meant many associated political absolutism with Catholicism. Charles II refused to call an English Parliament between 1681–1685, while in Ireland, only one session of Parliament was held between 1660 and 1689. 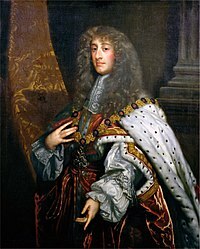 In 1685, Charles' Catholic brother became James II and VII, with considerable support in all three kingdoms; however, tolerance for his personal Catholicism did not extend to Catholicism in general. James' attempts to extend these measures to other Dissenters and his use of the Royal Prerogative to do so evoked memories of the religious and political divisions that led to the Civil Wars and were resisted by the Presbyterian Scots and his English Tory Anglican supporters. However, his Catholic viceroy in Ireland, Richard Talbot, 1st Earl of Tyrconnell, began replacing Protestant office holders with Catholics, while also purging them from an expanded Royal Irish Army. In June 1688, two events turned dissent into a crisis; the birth of James Francis Edward on 10 June created a Catholic heir, excluding James' Protestant daughter Mary and her husband William of Orange. Prosecuting the Seven Bishops seemed to go beyond tolerance for Catholicism and into an assault on the Episcopalian establishment; their acquittal on 30 June destroyed James' political authority. In 1685, many feared civil war if James were bypassed; by 1688, anti-Catholic riots made it seem only his removal could prevent one. Representatives from across the political class invited William to assume the English throne and he landed in Brixham on 5 November; James' army deserted him and he went into exile on 23 December. Parliament offered the English throne to William and Mary in February 1689; a large majority agreed Mary should replace her father but William's demand he be made joint monarch and sole ruler if she died was only narrowly approved. A Scottish Convention was elected in March 1689 to agree a Settlement, with only a tiny minority of the 125 delegates loyal to James. On 12 March, James began the War in Ireland; on 11 April, the Convention ended James' reign and William and Mary accepted the Scottish throne on 11 May. To win Irish support, James reluctantly conceded demands by the Patriot Parliament in May 1689 that he restore lands confiscated by Cromwell; these were declared void after his defeat in 1691 but the memory persisted. James II died in exile in 1701 and when William died in 1702, his younger daughter Anne became the last Stuart monarch; in 1707, the Act of Union between England and Scotland completed the process begun by James I. Since neither Anne nor Mary had surviving children, the 1701 Act of Settlement ensured a Protestant successor by excluding Catholics from the English and Irish thrones, and that of Great Britain after the 1707 Act of Union. Anne's heir was the distantly related but Protestant Sophia of Hanover, not her Catholic half-brother James. Sophia died two months before Anne in August 1714; her son became George I and the pro-Hanoverian Whigs controlled government for the next 30 years. In England, the exclusion of Tories from government after 1715 would become a major element in support for the exiled Stuarts. While Jacobitism was closely linked with Catholicism from the outset, particularly in Ireland, in Britain Catholics were a small minority by 1689 and the bulk of Jacobite support came from other groups. Catholics formed about 75% of the population of Ireland. In England, however, not more than 2–3% of the population could have been "practising Catholics", though in the north of England, "at least one half of the population outside the towns were Catholic in some degree". By this definition, Catholics numbered 10–15% of the English population. Catholicism survived most strongly among the nobility, of whom 15–20% clung to the old faith. In Scotland (excluding the Highlands and the Isles), it is estimated that about 2% of the population were Catholic. The key demands of Irish Jacobitism remained consistent until the Stuart cause ended in the mid eighteenth century; these were religious toleration, legislative autonomy and land ownership. During the 1638–1651 Wars of the Three Kingdoms and the 1641 Irish Rebellion, much of Ireland was controlled by the Catholic Confederacy or Cónaidhm Chaitliceach na hÉireann, who offered their allegiance to Charles I. However, Irish support for the Stuarts was primarily an alliance of convenience, rather than bonds of loyalty, since Charles failed to implement his 1628 promise allowing freedom of worship for Catholics and supported the 1642 Adventurers' Act penalising many supporters of the Confederacy. His Catholic son James was seen more favourably and when he became king in 1685, the Catholic Earl of Tyrconnell was appointed Lord Deputy of Ireland; he admitted Catholics into the army and militia and refused to enforce anti-Catholic penal laws. This meant when James was exiled by the Glorious Revolution of 1688, Ireland was an obvious location to launch his campaign to retake his kingdoms, which was later known as the War in Ireland. The 1689 Dublin Parliament provided James financial support in return for removing restrictions on Catholic worship but the supremacy of the Protestant Church of Ireland was left intact, while James actively resisted legislation that reversed post-1651 land confiscations. While active Protestant support was limited, as with the Church of England, many members of the Church of Ireland continued to back the Stuart right to the throne. Prominent Irish Non-Jurors included William Sheridan, Bishop of Kilmore and Ardagh and the Jacobite propagandist Charles Leslie. After James was defeated in 1691, all measures passed by the 1689 Parliament were annulled while many of his Catholic soldiers joined the Irish Brigade in the French army. In England some support came from the Nonjuring Anglicans, which started with Church of England clergy who refused on principle to take the oath of allegiance to William and Mary while James still lived, and developed into an Episcopalian schism of the church with small congregations in all the English cities. In many respects, Jacobites perceived themselves as the heirs of the Royalists or Cavaliers of the English Civil War era, who had fought for James II's father Charles I and for the Established Church against the Parliamentarians, the latter standing for the primacy of Parliament and for religious dissent. Jacobite supporters displayed pictures of both Cavalier and Jacobite heroes in their homes. In Lowland Scotland, the Catholics tended to come from the gentry and formed the most ideologically committed supporters, drawing on almost two centuries of subterfuge as a minority persecuted by the state and rallying enthusiastically to Jacobite armies as well as contributing financial support to the court in exile. Highland clans such as the MacDonnels/MacDonalds of Clanranald, Keppoch, Glengarry and Glencoe, the Clan Chisolm and the Ogilvys were largely still Catholic. Other clans, such as the powerful Camerons, were Episcopalian, and as staunch Jacobites as their allies, the Catholic MacDonalds. The clan chief who led his men at the Battle of Culloden, the 'Gentle Lochiel', survived to command the French Régiment d'Albanie, and died at Bergues in 1748. However, by 1745 Scots Catholics were a tiny minority, census figures as around 16,500 out of a total Scots population of over 1.5 million or under 1%. By some estimates, Scottish Episcopalians provided over 50% of Jacobite recruits but while the modern labels of Episcopalian and Presbyterian imply doctrinal variations, this was not the case in 1745. The vast majority of Scots, whether Episcopalian or Presbyterian, were doctrinal Calvinists; differences primarily related to governance of the Church of Scotland or kirk, and the Nonjuring schism over swearing allegiance to the Hanoverians. Many Non-juring congregations were concentrated along the north-east coast, and many recruits came from this element of society. To the Gaelic-speaking Scottish Highland clans, to whom the supporters of Jacobitism were known as Seumasaich, the conflict was more about inter-clan politics than about religion, and a significant factor was resistance to the territorial ambitions of the (Presbyterian) Campbells of Argyll. There was a precedent for post-1689 Jacobitism during the period of the Wars of the Three Kingdoms, when clans from the western Highlands had fought for James's father Charles I against the Campbells and the Covenanters. Another factor in Highland Jacobitism was James VII's sympathetic treatment of the Highland clans. Whereas previous monarchs since the late 16th century had been antagonistic to the Gaelic Highland way of life, James had worked sympathetically with the clan chieftains in the Commission for Pacifying the Highlands. Some Highland chieftains therefore viewed Jacobitism as a means of resisting hostile government intrusion into their territories. The significance of their support for the Stuarts was that the Highlands was the only part of Britain which still maintained private armies, in the form of clan levies. During the Jacobite risings, they provided the bulk of Jacobite manpower. Another source of Jacobite support came from those dissatisfied with political developments. Some Whigs, most obviously the Earl of Mar, reacted to political disappointments by joining the Jacobites, but while others were courted from 1692 onwards and indicated support, mostly this was just reinsurance in case the Jacobites came out on top. The Tories were a more likely source of support given their commitment to church and king, but many were reluctant to trust the Church of England to a Catholic king. At times such as 1715–1722 when the Hanoverians appeared to be dismantling Anglican dominance and 1743–1745 when Whig dealings denied the Tories a parliamentary victory they would coalesce and turn to the Jacobites, but they were reluctant when it came to serious action. Nevertheless, this gave hopes that large numbers of Tories would support a Jacobite rising with a serious prospect of winning, particularly when helped by foreign intervention. The rise and fall of the earlier Tory alliance with the Jacobites forms a major part of the background for Sir Walter Scott's Bride of Lammermoor. Other Jacobite recruits could be described as adventurers – desperate men who saw the cause as a solution to their (usually financial) problems. Although small in number and varying from unemployed weavers looking for excitement to impoverished gentry like William Boyd, 4th Earl of Kilmarnock who served Charles as a colonel and became a general after the Battle of Falkirk, they contributed significantly to the daring that brought the Jacobites a prospect of success in their campaigns. However, other such mercenaries often became spies and informers. A number of pirates were among the opportunists who flocked to the Jacobite banner. Some gave their ships Jacobite names such as Queen Anne's Revenge or Royal James. Others declared their support openly: Charles Vane drank “Damnation to King George” while Thomas Cocklyn toasted the health of "King James the Third", and John Russell threatened to shoot a prisoner for failing to recognize the Pretender. While some pirates like John Norcross actively sought to serve James Stuart directly, many were offering only verbal support, using Jacobitism as an excuse to plunder English shipping, or were using Jacobite slogans in a general show of rebellion without actually working to advance Jacobite ideals. Jacobite ideology comprised four main tenets: The divine right of kings, the "accountability of Kings to God alone", inalienable hereditary right, and the "unequivocal scriptural injunction of non-resistance and passive obedience", though these positions were not unique to the Jacobites. What distinguished Jacobites from Whigs was their adherence to 'right' as the basis for the law, whereas the Whigs held to the idea of 'possession' as the basis of the law. However, such distinctions became less clear over time, with an increase in the use of contract theory by some Jacobite writers during the reign of George I.
Jacobites contended that James II had not been legally deprived of his throne, and that the Convention Parliament and its successors were not legal. Scottish Jacobites resisted the Act of Union of 1707; while not recognising Parliamentary Great Britain, Jacobites recognised their monarchs as Kings of Great Britain. The majority of Irish people supported James II due to his 1687 Declaration of Indulgence or, as it is also known, The Declaration for the Liberty of Conscience, which granted religious freedom to all denominations in England and Scotland, and also due to James II's promise to the Irish Parliament of an eventual right to self-determination. From its religious roots, Jacobite ideology was passed on through committed families of the nobility and gentry who would have pictures of the exiled royal family and of Cavalier and Jacobite martyrs, and take part in like minded networks. Even today, some Highland clans and regiments pass their drink over a glass of water during the Loyal Toast – to the King Over the Water. More widely, commoners developed communities in areas where they could fraternise in Jacobite alehouses, inns and taverns, singing seditious songs, collecting for the cause and on occasion being recruited for risings. At government attempts to close such places they simply transferred to another venue. In these neighbourhoods Jacobite wares such as inscribed glassware, brooches with hidden symbols and tartan waistcoats were popular. The criminal activity of smuggling became associated with Jacobitism throughout Britain, partly because of the advantage of dealing through exiled Jacobites in France. Official policy of the court in exile initially reflected the uncompromising intransigence that got James into trouble in the first place. With the powerful support of the French they saw no need to accommodate the concerns of his Protestant subjects, and effectively issued a summons for them to return to their duty. In 1703 Louis pressed James into a more accommodating stance in the hopes of detaching England from the Grand Alliance, essentially promising to maintain the status quo. This policy soon changed, and increasingly Jacobitism ostensibly identified itself with causes of the alienated and dispossessed. There were Jacobite risings in 1689, 1715, 1719 and 1745. There were also planned French invasions of Britain in support with or in support of the Jacobites in 1708 and 1744. Jacobitism entered permanent decline after the "Forty-Five" rebellion. In an effort to prevent further trouble in the Scottish Highlands, the government outlawed many cultural practices to destroy the warrior clan system. The Act of Proscription 1746 – incorporating the Disarming Act and the Dress Act – required all swords to be surrendered to the government and prohibited wearing of tartans or kilts. The Tenures Abolition Act 1660 ended the feudal bond of military service and the Heritable Jurisdictions Act 1746 removed the virtually sovereign power the chiefs had over their clan. The extent of enforcement of the prohibitions was variable and sometimes related to a clan's support of the government during the rebellion. Government troops were stationed in the Highlands. More roads and barracks were built to better control the region, with a new fortress at Fort George to the east of Inverness which still serves as a base for Highland Regiments of the British Army. Highland clans found a way back to legitimacy by providing regiments to the British Army, many of whom served with distinction in the subsequent Seven Years' War. The French made every effort to rescue Jacobite chieftains as well as Charles, and gave him a hero's welcome on his return to France, but soon tired of his badgering them to provide a renewed assault on the Hanoverians. After French victories knocked the Netherlands out of the war, the British offered reasonable peace terms and made the expulsion of Charles from France a precondition of negotiations. Charles ignored the French court's order to depart, continued to demand military action and support for his extravagant lifestyle and flaunted his presence around Paris as peace negotiations for the Treaty of Aix-la-Chapelle got under way. After British complaints the French government lost patience with Charles and in December 1748 he was seized on his way to the Opéra and briefly jailed before being expelled. From 1749 to 1751 Charles laid the groundwork for a rising in England, visiting London in 1750 when he conferred with the Jacobite leaders and considered an assault on the Tower of London as well as converting to Anglicanism. The English Jacobites were clear that they would not move without foreign assistance, and Charles turned to Frederick II of Prussia. While Frederick was indifferent to the Jacobite cause he made diplomatic use of the opportunity, and appointed the Earl Marischal as his ambassador to Paris, in a position to keep him informed and veto any plans. Alexander Murray of Elibank House, Taplow, the liaison between Charles and the plotters, finally realised there was no hope of foreign assistance and ended the conspiracy, but by then Charles had sent two exiled Scots as agents to prepare the clans. They were betrayed by Alistair Ruadh MacDonell of Glengarry, a spy in Charles's entourage, and while one was arrested, the other barely escaped. Charles responded to the failure by denouncing his comrades, and continuing with his by now routine drunkenness and abuse of his mistress. Finally, in a dispute with Marischal and the English conspirators in 1754, a drunken Charles threatened to publish their names for having "betrayed" him, finally causing his supporters to abandon the Jacobite cause. In 1759 French naval defeats at Lagos and Quiberon Bay forced them to abandon a planned invasion of Britain, which would have placed Charles on the throne. It is often considered the last realistic chance for the Jacobites. With its passing, Charles collapsed yet further into alcoholism and was soon entirely abandoned by the French government, who saw little further use for him. The English Jacobites stopped sending funds, and by 1760 Charles, who had returned to Catholicism, was relying on the Papacy to support his lifestyle in Rome. In 1766, when Old Pretender James (VIII/III) Edward Stuart died, the Holy See refused to recognise "Bonnie" Prince Charles as the lawful sovereign of Great Britain, thus depriving him of his most powerful remaining support, the French support being long gone. In 1788, the Scottish Catholics swore allegiance to the House of Hanover, and resolved two years later to pray for King George by name. When Charles died in 1788 the Stuart claim to the throne passed to his younger brother Henry, who had become a Cardinal, and who now styled himself King Henry IX of England. After falling into financial difficulty during the French Revolution, he was granted a stipend by George III. However, he never actually surrendered his claims to the throne, though all former supporters of Jacobitism had stopped funding. Following the death of Henry in 1807, the Jacobite claims passed to those excluded by the Act of Settlement: initially to the House of Savoy (1807–1840), then to the Modenese branch of the House of Habsburg-Lorraine (1840–1919), and finally to the House of Wittelsbach (1919–present). Franz, Duke of Bavaria is the current Jacobite heir. Neither he nor any of his predecessors since 1807 have pursued their claim. Henry, Charles and James are memorialised in the Monument to the Royal Stuarts in the Vatican. What began with the English parliament asserting a new authority and William looking to expand alliances against France quickly developed into a major distraction, with William being forced to focus attention on Ireland and Scotland, and parliament having to fund the armies needed to overcome the Jacobites. This distraction helped keep Britain from intervening on the continent and contributed to twenty years of peace in Europe, while continuing unrest forced the British state to develop repressive strategies with networks of spies and informers as well as increasing its standing army. While Jacobitism increasingly appealed to the disaffected, it inherently bowed to higher authority and thus reinforced the social order. It left the British state strengthened to deal with the more revolutionary movements that developed later in the 18th century. Jacobitism is celebrated in many folk songs, including those by nineteenth century Scots poets such as Alicia Spottiswoode and Carolina Nairne, Lady Nairne (whose "Bonnie Charlie" remains popular). The Corries were well-known for singing this type of music. One of the best known songs is Mo Ghile Mear by Seán Clárach Mac Domhnaill which has been sung by many artists including Sting. Additionally, Jacobitism became the subject of romantic poetry and literature, notably the work of Robert Burns and Sir Walter Scott. Walter Scott, author of Waverley, a story of the 1745 rebellion, combined romantic Jacobitism with an appreciation of the practical benefits of the Hanoverian government, and in 1822 he arranged a pageantry of reinvented Scottish traditions for the visit of King George IV to Scotland when George IV visited Edinburgh and dressed as a kilted successor to his distant relative Charles Stuart. The tartan pageantry was immensely popular and the kilt became Scotland's National Dress. There was a brief revival of political Jacobitism in the 1890s. A number of Jacobite clubs and societies were formed, such as the Order of the White Rose. In 1890, Herbert Vivian and Ruaraidh Erskine co-founded a weekly newspaper, The Whirlwind, that espoused a Jacobite political view. Vivian, Erskine and Melville Henry Massue formed the Legitimist Jacobite League of Great Britain and Ireland in 1891, which lasted for several years. Vivian went on to stand for Parliament four times on a Jacobite platform – though he failed to be elected each time. 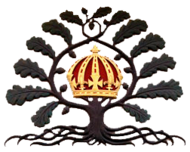 The revival largely came to an end with the First World War and the various societies of the time are now represented by the Royal Stuart Society. Jacobitism has been a popular subject for historical novels, and for speculative and humorous fiction. Historical novels Waverley (novel) and Rob Roy (novel) by Sir Walter Scott focus on the first and second Jacobite rebellions. Kidnapped (1886) is a historical fiction adventure novel by the Scottish author Robert Louis Stevenson that features the intrigues of Jacobite troubles in Scotland. In 1909, a short story by John Buchan entitled The Company of the Marjolaine was published in Blackwood's Magazine. The plot of the story concerns a group of Jacobite sympathisers paying a visit to an aged Bonnie Prince Charlie towards the end of his life. In the 1920s, D. K. Broster wrote the Jacobite Trilogy of novels featuring the dashing hero Ewen Cameron. Science Fiction writer John Whitbourn described his 1998 book, The Royal Changeling as "The first work of Jacobite propaganda for several centuries". Among the political entities sharing a future human-settled galaxy depicted by A. Bertram Chandler is "The Jacobite Kingdom of Waverly". One of Chandler's stories mentions "the coronation of King James XIV", held with great pomp and broadcast throughout the Galaxy. Joan Aiken's Wolves Chronicles have as background an alternative history of England, in which King James III, a Stuart, is on the throne, and the Hanoverians plot to overthrow him. In an episode of The Avengers TV series, "Esprit de Corps", originally broadcast 14 March 1964, a Scottish general plots a coup using Cathy Gale as the Stuart heir, whom he wishes to enthrone as Queen Anne II. Garrison Keillor told one of his Lake Wobegon stories, "The Royal Family", about a poor Minnesota family who are persuaded that they are the long-lost Stuart heirs. They dream of returning to Edinburgh and taking their rightful place on the throne of Scotland. A fictional account is given of the Jacobite/Hanoverian conflict in The Long Shadow, The Chevalier and The Maiden, Volumes 6–8 of The Morland Dynasty, a series of historical novels by author Cynthia Harrod-Eagles. Insight is given through the eyes of the Morland family into the religious, political and emotional issues at the heart of the struggle. In the film King Ralph, Ralph Jones, an American, becomes King of the United Kingdom when he is believed to be the only surviving member of the current Royal Family. Lord Percival Graves, the current heir to the throne under the Stuart line of succession, tries to have King Ralph deposed so he can take his place. In the 1995 film Rob Roy, it is a minor plot element with the Scottish Marquis of Montrose (John Hurt) attempting to covertly cultivate rumours that his personal rival and fellow Scot, Duke of Argyll (Andrew Keir) is a Jacobite, much to the latter's fury. The first two books of the Diana Gabaldon series "Outlander" focus on the causes and lead up to the final Jacobite Battle of Culloden. The continuing books involve the repercussions of English rule in Scotland and the Scottish immigrants fighting in the American Revolution. The first book was published under the title Cross Stitch in the UK. The popular Starz TV series "Outlander", which is based on the Gabaldon series, heavily features the Jacobite rising of 1745 throughout the first two seasons. James II and VII (6 February 1685 – 16 September 1701). Since Henry's death, none of the Jacobite heirs have claimed the English or Scottish thrones. Franz, Duke of Bavaria (born 1933), a direct descendant of Charles I, is the current legitimate heir of the house of Stuart. It has been suggested that a repeal of the Act of Settlement 1701 could allow him to claim the throne, although he has expressed no interest in doing so. ^ The American Heritage Dictionary of the English Language (4 ed.). Boston; New York: Houghton Mifflin. 2000. p. 933. ISBN 978-0-395-82517-4. ^ The Compact Oxford English Dictionary (2 ed.). Oxford: Clarendon Press. 1991. p. 888. ISBN 978-0-19-861258-2. ^ Harris, Tim (2007). Revolution; the Great Crisis of the British Monarchy 1685–1720. Penguin. pp. 271–272. ISBN 978-0141016528. ^ McFerran, Noel. "Grievances of the Scottish Convention, April 13, 1689". The Jacobite Heritage. Retrieved 6 November 2017. ^ McCormick, Ted (2014). Restoration Ireland, 1660–1688; in The Oxford Handbook of Modern Irish History. OUP. pp. 356–360. ISBN 978-0198768210. ^ Harris, Tim (1993). Politics under the Later Stuarts: Party Conflict in a Divided Society, 1660–1715. Longman. pp. 123–127. ISBN 978-0582040823. ^ Harris, Tim (2007). Revolution; the Great Crisis of the British Monarchy 1685–1720. Penguin. pp. 235–236. ISBN 978-0141016528. ^ Wormsley, David (2015). James II: The Last Catholic King. Allen Lane. p. 189. ISBN 978-0141977065. ^ Harris, Tim (2007). Revolution; the Great Crisis of the British Monarchy 1685–1720. Penguin. pp. 3–5. ISBN 978-0141016528. ^ Harris, Tim (2007). Revolution: The Great Crisis of the British Monarchy, 1685–1720. Penguin. pp. 379–386. ISBN 978-0141016528. ^ Coward, Barry (1980). The Stuart Age 1603–1714. Longman. p. 460. ISBN 978-0582488335. ^ Somerset, Anne (2012). Queen Anne; the Politics of Passion. Harper Press. pp. 532–535. ISBN 978-0007203765. ^ Harris, Thomas (2006). Revolution; the Great Crisis of the British Monarchy 1685–1720. Allen Lane. p. 440. ISBN 9780713997590. ^ a b Magennis, Eoin (1998). "A 'Beleaguered Protestant'? : Walter Harris and the Writing of Fiction Unmasked in Mid-18th-Century Ireland". Eighteenth-Century Ireland. 13: 6–111. JSTOR 30064327. ^ Doyle, Thomas (1997). "Jacobitism, Catholicism and the Irish Protestant Elite, 1700–1710". Eighteenth-Century Ireland / Iris an Dá Chultúr. 12: 29–30. JSTOR 30071383. ^ John L. Roberts. Clan, King and Covenant: History of the Highland Clans from the Civil War to the Glencoe Massacre. Edinburgh: Edinburgh University Press, 2000. xii + 258 pp. $23.00 (paper), ISBN 978-0-7486-1393-9. ^ "History of the Chisholm Clan". Rampantscotland.com. Retrieved 17 May 2017. ^ "The Battle of Culloden | Scottish Tartans Authority". Tartansauthority.com. Retrieved 17 May 2017. ^ "A History of Clan Cameron". Clan-cameron.org. Retrieved 17 May 2017. ^ Hamilton, Henry (1963). An economic history of Scotland in the Eighteenth century. Clarendon Press. p. 4. ^ Plank, Geoffrey (2005). Rebellion and Savagery: The Jacobite Rising of 1745 and the British Empire. University of Pennsylvania Press. p. 81. ISBN 978-0812238983. ^ Fox, E. T. (December 2010). "Jacobitism and the 'Golden Age' of Piracy, 1715–1725". International Journal of Maritime History. 22 (2): 277–303. doi:10.1177/084387141002200212. ^ Cordingly, David (2013). Under the Black Flag: The Romance and the Reality of Life Among the Pirates. New York: Random House Publishing Group. ISBN 9780307763075. Retrieved 28 July 2017. ^ Little, Benerson (2016). The Golden Age of Piracy: The Truth Behind Pirate Myths. New York: Skyhorse Publishing, Inc. ISBN 9781510713048. Retrieved 15 September 2017. ^ Snow, Edward Rowe (1944). Pirates and Buccaneers of the Atlantic Coast. Dublin NH: Yankee Publishing Company. Retrieved 6 February 2018. ^ Bialuschewski, Arne (26 August 2011). "Jacobite Pirates?". Histoire Sociale/Social History. 44 (1): 147–164. doi:10.1353/his.2011.0002. ISSN 1918-6576. Retrieved 31 January 2018. ^ Pittock, Murray (1 August 2014). Spectrum of Decadence: The Literature of the 1890s. Routledge. ^ "The Whirlwind". New York: The Metropolitan Museum of Art. ^ "Stirling Burghs Vacancy". Dundee Evening Telegraph. 29 April 1908. ^ "The Avengers Forever: Esprit de Corps". Theavengers.tv. Retrieved 17 May 2017. ^ Marcia, Songer (2000). Garrison Keillor: A Critical Companion. Westport CT: Greenwood Press. p. 67. ISBN 978-0-313-30230-5. ^ Runcie, Charlotte (26 March 2015). "Outlander: all you need to know". ISSN 0307-1235. Retrieved 24 February 2019. ^ Richard Alleyne and Harry de Quetteville (7 April 2008). "Act repeal could make Franz Herzog von Bayern new King of England and Scotland". Daily Telegraph. Retrieved 19 May 2011. Ruvigny and Raineval, Marquis de (Melville Henry Massue) (comp.). The Jacobite Peerage, Baronetage, Knightage and Grants of Honour. Edinburgh: T. C. & E. C. Jack, 1904. Jacobite Prisoners of the 1715 Rebellion. Preventing and Punishing Insurrection in Early Hanoverian Britain. Margaret Sankey, Ashgate Publishing, Aldershot, Hampshire, England 2005, ISBN 0-7546-3631-3.